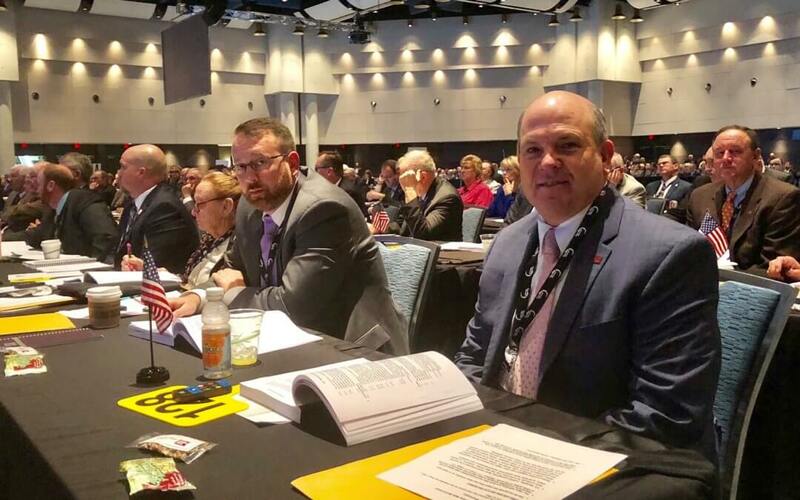 Farmer and rancher delegates from across Mississippi recently attended the American Farm Bureau Federation’s 100th Annual Convention Business Meeting to adopt policies on key topics that will guide the organization’s work during its centennial year. “As our organization has done for the last 100 years, grassroots delegates from across the nation came together to express a unified voice on issues vital to the success of our farms, ranches and rural communities,” Mississippi Farm Bureau Federation President Mike McCormick said. The delegates representing Mississippi this year were Mike McCormick, Donald Gant, Louis Breaux IV, Ted Kendall IV, Bowen Flowers, John Bush, Billy Tabb, Charles Danna, Austin Smith, Dot Cole, Brian Rhodes, Reggie Magee, and Tyler Huerkamp. Some of the major policies delegates considered included federal milk marketing orders and whole milk policy, trade, cell-based food, rural broadband and standards of identity on United States rice. Here is how the delegates voted on these key issues. Delegates voted in favor of a recommendation put forth by Mississippi to change to multi-component pricing in federal marketing orders 5 and 7. Also, McCormick submitted an amendment that was adopted to further emphasize the need to promote whole milk through government purchasing programs. Delegates adopted a comprehensive policy to support innovation in cell-based food products while ensuring a level playing field for traditional protein. Delegates affirmed the USDA is best equipped to be the primary regulator of new cell-based products and it encouraged USDA to utilize the Food and Drug Administration’s expertise in food safety. The policy also calls for complete and accurate product labels to ensure that consumers have all the pertinent information they need. Mississippi delegate Ted Kendall IV authored an amendment which was adopted to even further restrict the labeling of certain cuts of meat from cell-based foods. “It may just be me, but I think you ought to have a rib before ribeye” Kendall said while on the delegate floor. Mississippi delegate Charles Danna proposed a floor amendment that would place the need to create a standard of identity for U.S rice in AFBF policy. The amendment came from the growing pressure from rice imitations in the grocery aisle. The amendment was unanimously approved.